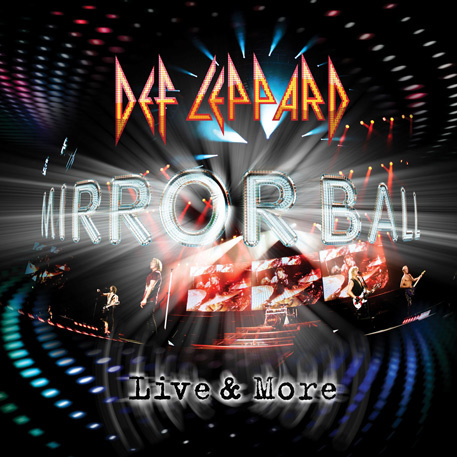 It’s hard to believe that Def Leppard has never released an official live album until now with MIRRORBALL, a full 31 years since the band’s 1980 debut ON THROUGH THE NIGHT. You would have figured that the band would have put out a live set between studio albums somewhere in their ’80s heyday or at least in the late ’90s/early 2000s because they have been a touring juggernaut since the band first burst on the NWOBHM scene. I’ve been lucky enough to catch the band a couple of times back in the ’80s and on various tours since the 1999 tour for EUPHORIA but the concert I saw in 2006 on the YEAH! Tour, the concert I saw in 2007 promoting YEAH! , and the show in 2009 for SONGS FROM THE SPARKLE LOUNGE (2008), are all represented on this live collection. If you take a look inside the nice booklet that is inside the old school multi-CD jewel case, you’ll notice that no specific cities or dates for the recordings are list, just the quote: “Recorded at various points around the world, in the not too distant past.” While I would have liked to know the specific tour dates, it’s a small ommission that can be overlooked because of the quality of the live album. The Leps have followed the business model that Journey, KISS, Foreigner and AC/DC have forged by releasing MIRRORBALL exclusively in the U.S. through retail giant Wal-Mart…..that means a low price and more than a few extras. First, the actual set is 19 songs long on the CDs with two bonus live tracks added in with ‘Action’ and ‘Bad Actress’. In the last three times I’ve seen Def Leppard live since 2006 they’ve played 15, 16 and 17 songs respectively and the live show on this album is a perfect representation of what’s been played on the last few tours. I missed this summer’s tour for MIRRORBALL but the 16 song set they played at the Comcast Center in Massachusetts is pretty much the greatest hits pack you have here along with the David Essex cover ‘Rock On’ and opening with the new song ‘Undefeated’. Back to this album though…..it’s good to hear ‘C’Mon C’Mon’, ‘Nine Lives’ and ‘Bad Actress’ live as I was only given ‘Nine Lives’ in concert the times I’ve seen the band live. The rest is a hits collection culled mainly from the three blockbusters PYROMANIA (1983), HYSTERIA (1987) and ADRENALIZE (1992) with a couple tracks from HIGH ‘N DRY (1981) thrown in with the instrumental ‘Switch 625’ coming right after the obligatory power ballad ‘Bringin’ On The Heartbreak’. Would be nice to get another cut from HIGH “N DRY or maybe from the first record but I’m not complaining because Def Leppard has had huge success and there’s just so many songs you can fit into a concert. Personally, I would have cut out ‘Rock On’ and the bonus live track ‘Action’ (a cover orginally done by The Sweet) for a couple more Lep originals but that’s just me. As far as the sound goes, it’s perfect but did you expect anything less from Def Leppard? These guys have sounded great in concert everytime I’ve seen them since the ’80s and their studio album always have top quality production so MIRRORBALL has the same BIG sound that’s crystal clear. Vivian Campbell and Phil Collen are a seasoned guitar tandem and are as good as the classic team of Collen and Steve Clark and Rick Savage always keeps the rhythm in line on bass while Rick Allen continues to impress on drums. The wild card has always been Joe Elliot’s voice and he’s had some concerts I’ve witnessed where he wasn’t that great and some that he sounded like he was still in his 20s. On MIRRORBALL, Joe sounds pretty good although you can tell that age has become a factor and he doesn’t reach the high notes he used to, a surprisingly good vocal performance though. There are three new studio songs added to this package which I always think is a good idea for the longtime fans but there has to be quality. The current tour opener is ‘Undefeated’ and it’s a heavy guitar track with a great drum intro that reminds me a little of the opening to Bon Jovi’s ‘Lay Your Hands On Me’. The song sounds like your current day Def Leppard song that could easily have fit on SPARKLE LOUNGE with it’s heavy sound and big harmonies, the only difference is that Joe’s voice sounds a little raspier and deeper. Like I said before, Joe Elliot is not 20 years old anymore and he knows what he’s able to accomplish as he gets older. Not a bad vocal though just slightly different and a little lower register than the usual. Good track though and the best one to play on the current tour. ‘Kings Of The World’ is Def Leps ode to Queen with it’s bombast, piano, harmonies and Brian May guitar tone. Rick Savage wrote this song and he had to be going through his Queen records but, then again, the band has always cited Queen as an influence and they are friends. ‘Kings Of The World’ is good but it’s not really what you would expect from Def Leppard. ‘It’s All About Believin’ sounds like a track from the EUPHORIA sessions, very upbeat and HYSTERIA sounding and it actually has some parts that sound like ‘Animal’. Of the three, I’d rate this as my favorite because this is the Lep sound and I was a huge EUPHORIA fan, I wouldn’t mind hearing this live either. As far as the bonus DVD goes, it’s a nice extra but really only a one time view for me. Some of the footage I’ve seen before and some I haven’t, the backstage footage is always fun to see. It’s nice to get the ‘Nine Lives’ and ‘C’Mon C’Mon’ videos and I enjoyed the live songs but I would have enjoyed more full live performances instead of just four. If you compare this package to KISS’ or Foreigner’s the difference is full concerts on those bands’ Wal-Mart releases, same thing with Whitesnake’s LIVE AT DONNINGTON 1990 on Frontiers Records (a double disc live with DVD). It’s a small criticism because I have hope that the band will release an official live DVD but they really didn’t have to add this in to the live album so it’s a good bonus to have. A solid live set from Def Leppard full of hits and sounding great, a lot better than I expected. The production is great and the band sounds as tight as they were when I saw them in concert over the last few years. The surprise is how well Joe Elliot sounds, I expected that he’d sound a little rougher on a live recording but he sounds pretty good, maybe a little studio overdub? Hopefully not, I hate knowing a live album is studio enhanced but I can say that Joe sounds much like he did over the last few tours. Adding three new original songs is always a good deal and they are all good, the DVD is run of the mill for me but a cool bonus nonetheless. For the $10 price, this is a nice album to pick up. The live songs are all great sounding but I have to pick ‘Animal’, ‘Foolin’, ‘Make Love Like A Man’ and ‘Nine Lives’ as my favorites. Of the three new tracks, I’d rate ‘It’s All About Believin’ as my favorite, ‘Undefeated’ second and the Queen tribute,’Kings Of The World’, last. On September 13, Capitol/EMI will release an expansive 5CD and digital collection spanning UFO’s Chrysalis Records tenure. Across 81 tracks, UFO’s The Chrysalis Years (1973-1979) collects all of the songs the band recorded for Chrysalis during the 1970s. UFO’s musical odyssey started in 1969, when singer Phil Mogg was joined by drummer Andy Parker and bassist Pete Way. This trio would become the backbone of the band for the next 13 years, and mainstays for much of UFO’s forty-plus year career. The Chrysalis Years (1973-1979) chronologically charts UFO’s career, from the obscure 1973 German single “Give Her The Gun” to 1979’s hit single version of “Doctor Doctor,” backed with its live B-side, “On With The Action” (available on CD for the first time). Collecting all five studio albums to feature wunderkind guitar virtuoso Michael Schenker, who was only 18 when he originally joined the band for 1974’s Phenomenon, this anthology also includes, in their entirety, Force It (1975), No Heavy Petting (1976), Lights Out (1977) and Obsession (1978). In addition to BBC Radio sessions recorded for Bob Harris and John Peel, single edits and rare remixes, this collection boasts a previously unreleased 45-minute concert recording from UFO’s first U.S. tour. Recorded in 1974 at Atlanta’s Electric Ballroom, the multi-tracks for this concert were recently discovered in the Chrysalis vaults, and have been given a brand new mix at Abbey Road Studios. Featuring rare live outings of “Give Her The Gun,” the pre-Chrysalis song “Prince Kujuku,” and most interestingly, UFO’s eight-minute interpretation of John Lennon’s “Cold Turkey,” this gig offers unique insight into the early days of this important and influential British rock institution. Completed by the U.K. Top 10 breakthrough double live album, Strangers In the Night, recorded on Michael Schenker’s “farewell” tour, the package also includes liner notes based on a recent interview with UFO vocalist, Phil Mogg. I’m a little late in posting the review but I caught Cinderella on their 25th Anniversary Tour at Showcase Live in Foxboro, MA on August 3rd. A solid show overall with a surprise opener, melodic metal band Mass, who you may remember from back in the ’80s. The Showcase Live is located at Patriot Place, in the Foxboro Stadium complex (home of the New England Patriots), and it’s only about 20 minutes from my house. A lot of shows have come to the club like Michael Schenker Group, UFO (saw the show in May and never reviewed it! ), Jackyl, Uriah Heep, Kip Winger and the Mr. Big show next week. It’s a great place to see a show and it accommodates about 1000 – 1500 fans for a standing room only concert. It’s a state of the art venue and a great place to see a show! Tickets weren’t bad, $35 for a ticket…..a very reasonable price for two solid bands. Mass opened the show and played about eight songs, four being off their 2010 album SEA OF BLACK. Unfortunately, I was unable to write the setlist down but it was high energy and a great performance. I was able to sing a long to the newer songs but I forgot which ones they were two weeks later! I did recognize a couple of the older songs but I had no idea about the song titles or which albums they came from, they just sounded familiar. Foxboro is 30 minutes outside Boston so this was a home gig for Mass and they had a lot of faithful fans in the packed house…..and it was just as packed for Mass as it was the headliners. If SEA OF BLACK didn’t open my mind to Mass, their performance did and I’ll be acquiring the rest of their releases through the band’s official website soon. Nice guys all around, even hung around their merchandise booth to shake hands, sign autographs and take pictures. I’ve been a Cinderella fan since the beginning with NIGHT SONGS (1986) and I saw them open for Bon Jovi on the Slippery When Wet Tour back in 1986 in Providence, RI. I caught them again on a couple of summer tours with Poison and they had the crowd going just as much as Poison so they have a great fanbase and the songs to put on a great show. The original lineup is intact for this 25th Anniversary Tour led by the Steven Tyler influenced Tom Keifer on guitars, piano, sax & lead vocals, Eric Brittingham on bass & vocals, Fred Coury on drums & vocals and the underrated Jeff Labar on guitars & vocals…..rounding out the band on keyboards is longtime touring member Gary Corbett. The band had the great venue, great crowd, great sound so I expected an awesome setlist. Basically, all the hits were played from the first three albums with the most notable exception of ‘The Last Mile’ from LONG COLD WINTER (1988) and ‘Hot And Bothered’ from STILL CLIMBING (1994). I couldn’t believe that they ignored the fourth album, STILL CLIMBING, because I remember ‘Hot And Bothered’ getting plenty of airplay in 1992 because of it’s inclusion on the Wayne’s World movie soundtrack. Adding those two songs to the set would have put this show over the top for me but it was a solid show anyway with five songs off the debut NIGHT SONGS, five from 1988’s LONG COLD WINTER (my personal favorite!) and three from HEARTBREAK STATION (1990). I figured that the first two albums would get a ton of songs but I was glad to see the band focus on HEARTBREAK STATION because it’s an underrated record even though it was a Top 20 album and went platinum. The band was tight and played great with all the big vocal harmonies you hear on the records. Tom Keifer is heavily influenced by Aerosmith’s Steven Tyler not only in his look but his vocal style with that gritty blues styled voice that sounds like he gargles with Drano at times. I personally think Tom got stronger vocally as the show went on and he was easily in classic form a couple songs in. I was on the Jeff Labar side of the stage so I watched him closely…..definitely an underrated guitar player with a cool style and swagger. You would never be able to tell that Cinderella hadn’t released an album in 17 years and has only done a few summer tours in the last decade because they sounded great. Surprises of the setlist? Definitely ‘Second Wind’ (that ended Side 1 of LONG COLD WINTER) and opener ‘Once Around The Ride’ (from NIGHT SONGS)…..’Second Wind’ was always one of my favorite tracks on LONG COLD WINTER but I was surprised with ‘Once Around The Ride’ because I would have bet that the band would have played long time concert staple ‘Push Push’ from the same record. All in all, another good concert with two solid performances at a good price. Mass will get a closer look and the hope Cinderella will put a new record out is burning brighter with me. After a solid month of purchases in June to end the first half of the year, it’s time to set sights on the second half of 2011. Will the money be there to spend? Will the CDs be there to buy? What treasures will be found? 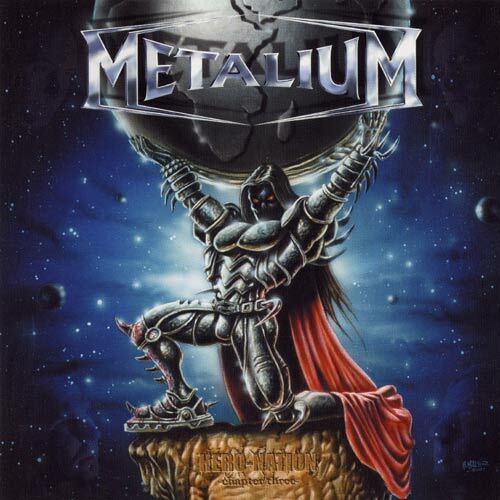 The answers start now…..
Metalium – Hero Nation: Chapter III (2002) – $6 used: I started off the month of July with a very easy purchase…..a used copy of Metalium’s third album HERO NATION for $6. You may be asking why this album has so much significance, and there really isn’t any, the price was right and I have been watching this CD sit in the Used Metal section for at least six months! Over the last six months I think I’ve checked my collection at least a dozen times to see if I already own this CD but I would forget everytime I’d be in the record shop. Finally, I wrote it down on the growing Want List but I never got around to buying it until now. I never like to miss a bargain and my online research tells me that this CD still gets at least $15 regular price so I decided to make the purchase and saved myself around $9. This puts the Metalium collection a little closer to being completed, now I just need Chapters IV, V, VI, VII and VIII! Bonus enhanced CD included on this also so it was a great find. 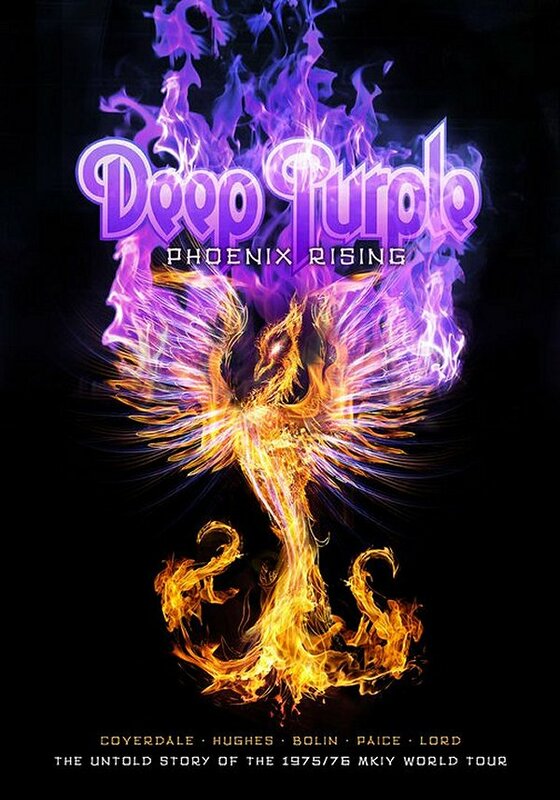 Deep Purple – Phoenix Rising (Special Edition DVD/CD) (2011) – $14: I love Deep Purple, all lineups, all albums…..they are one of the founding fathers of Heavy metal as we know it and the credit is well deserved. I saw an add for this DVD in Classic Rock Magazine so I checked it out when it received a U.S. release. The special edition DVD is based on the Mark III and Mark IV Purple lineups that include David Coverdale, Glenn Hughes and Tommy Bolin along with founding members Ian Paice and Jon Lord and it’s a great snapshot in time of a Deep Purple era that so many have for gotten about. There is a DVD with a Japanese concert from 1975 and a documentary, the CD version of all the live tracks and two special booklets. Add in a bonus interview with Lord & Hughes and the COME TASTE THE BAND press kit and you get a little more for the money. The difference between the standard DVD and the special edition was $4 so I went for the extras as I always do. Regular price for the special edition was $20 so I saved $6. So on one shopping trip, I made it over to the Newbury Comics location in Warwick, RI…..this was my usual store until a location opened near my house a few years ago. If it wasn’t for the 20 minute drive (I know, 20 mins is nothing but it is to a true Rhode Islander! ), I’d be down there all the time because it’s a bigger store and they get some great used bargains. 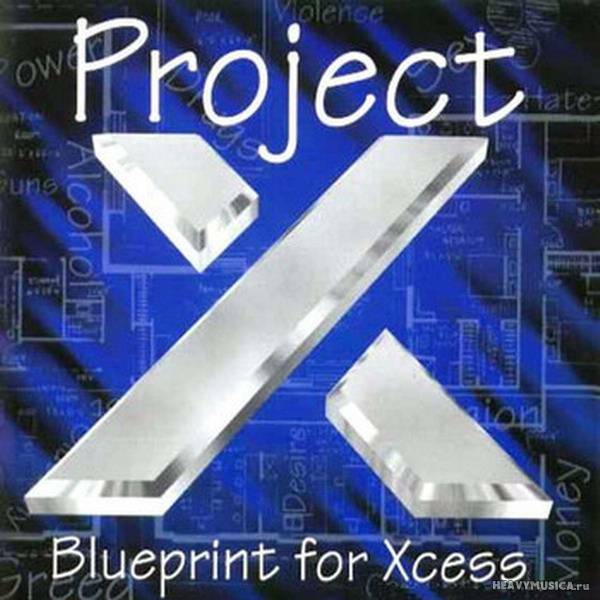 I went diving in the used bins, especially the real cheap CDs, and here’s what I pulled out…..
Project X – Blueprint For Xcess (1996) – $2 used: I knew nothing about Project X but I noticed that the album was released in 1996 on Escape Music, distrubuted by MTM Music…..that’s a Hard Rock/Melodic Rock label! Closer inspection at the back tray card revealed the name Don Wolf who used to be the lead singer for White Wolf and was Don Wilk back then. I remember White Wolf from back in the early ’80s, I tried to win a cassette copy of STANDING ALONE (1984) from an ad in Hit Parader magazine. Never won that tape but I did get to dub a copy of the record from a friend of mine…..remember dual cassette decks? So with the Escape Music link and the White Wolf pedigree, I picked this up used for a cool $2. How can you go wrong with $2 for a used disc? I did some research on my phone when I got to the car and it seems that you can get this CD online anywhere from $7 to $20 depending on where you shop. Assuming we go by a regular price of $12, I saved about $10. 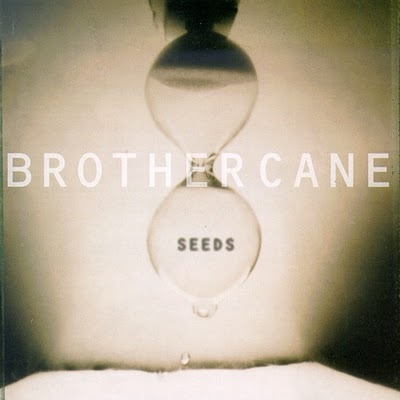 Brother Cane – Seeds (1995) – $3 used: This is where the Collectorz software I use came in handy! As the long time readers know, I’ve had the Collectorz Music Collector software software for awhile and I’m slowly putting my collection in the database…..I also have the Android app that lets me put what I have on my main computer on my cell phone. Well, I’m not too far along (in the D’s) but I was able to double check to see if I owned this Brother Cane disc. Lead singer/guitarist Damon Johnson is in Alice Cooper’s band and he’s played with Sammy Hagar, John Waite and Jack Blades. I remembered Brother Cane from their first record and ‘Got No Shame’ so I decided to grab this used for $3. The funny thing about it is that there were three other used copies in the same spot priced at $5, $7 and $10! I’m the lucky one I guess! Considering a regular price around $12 for an older album from the early ’90s, I saved $9. 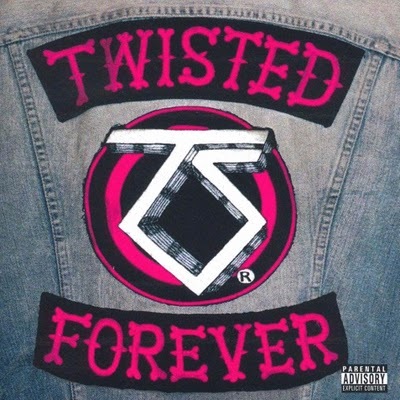 Twisted Forever (A Tribute To The Legendary Twisted Sister) (2001) – $4 used: Tribute albums, cover albums, cover songs…..I could generally do without them but it seems that I own a ton of them! Chalk that up to getting them cheap in used bins over the years! Of course, there are a few essential ones I need because the tributized band adds a song or two in there. This time around, it’s this Twisted Sister tribute that I wouldn’t have bought if it wasn’t for the low price and the fact my oldest daughter’s favorite Hard Rock band is Twisted Sister. There’s some good bands on here paying tribute (doing covers! ): Motorhead, Anthrax, Overkill, Hammerfall, Sebastian Bach…..and some questionable ones like Chuck D. from Public Enemy and Lit. Of course, Twisted Sister is on there last with their cover of AC/DC’s ‘Sin City’ which is nothing I hadn’t heard before but it’s a nice package overall. Last copy I saw in a record store was going for about $10 brand new so I saved $6 since spotting it last and I made my daughter ultra-happy! 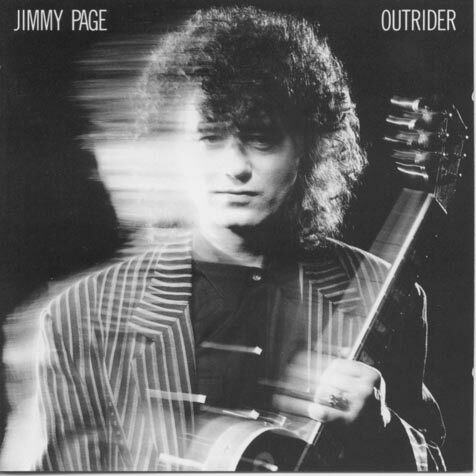 Jimmy Page – Outrider (1988) – $4 used: OUTRIDER is an album I’ve had on my list for a while, seen it hundreds of times new for $12- $15, but never pulled the trigger because it’s not the best record in the world. I remember a lot of my Rock friends getting psyched for this album back in the day because it was Jimmy Page, guitar god from Led Zeppelin, with Jason Bonham drumming on six out of nine tracks! This fuelled the Led Zep reunion rumors and my group was heavy into it. I’ve never been an overly huge Zeppelin fan even though I like them but I was more interested into where Page was going to go from after The Firm broke up (an underrated band by far!). I remember having a taped copy from a friend (there’s that dual cassette deck again!) and listening to the lead single ‘Wasting My Time’ but that’s about it. I wasn’t going to pass this up at $4 and I assume I saved around $10 by passing on all those new copies over the years! Ian Parry – Visions (2006) – $4 used: You might remember Ian Parry as the lead singer for Elegy or The Consortium Project, at least that’s how I know Ian Parry! Obviously name recognition went into this purchase as well as the label was Escape Music. Taking a look at my collection it seems I have most of the Elegy albums so I figured that spending a whole $4 on an Ian Parry solo album wouldn’t be much of a stretch musically. To be honest, outside of his name and his work with Elegy, I really don’t know much else about Ian so I’m taking a chance in a way. I don’t own any Consortium Project CDs which is actually odd because I see them used everywhere. The cool thing is that I found another copy of this in the Metal used bin for $8 so I saved $4 off a used price and my research online shows that this album still lists for $15 in most places…..overall I saved about $11. 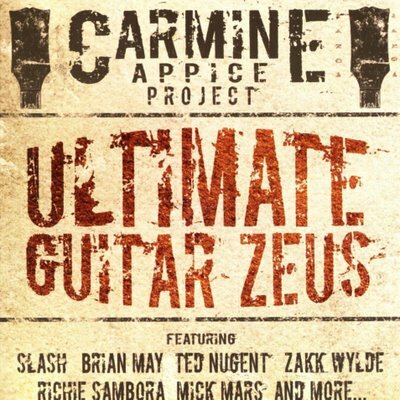 Carmine Appice Project – Ultimate Guitar Zeus (2006) – $5 used: All right, the only reason I picked this up was because I know Carmine Appice and I heard an interview with him on the Talking Metal podcast. From what I know, GUITAR ZEUS and GUITAR ZEUS II were released in 1995 and 1997 respectively and released to fan club members only. The songs include originals and a few covers that Carmine, bass god Tony Franklin and singer Kelly Keeling teamed up to record along with some of the biggest names on guitar like Zakk Wylde, Ted Nugent, Slash, Brian May and Neal Schon. ULTIMATE GUITAR ZEUS is a compilation of songs from volumes 1 and 2…..of course, when I heard the Talking Metal podcast, Carmine was promoting GUITAR ZEUS: CONQUERING HEROES (2009) which I believe is a double disc that is both volumes in a nice package. Considering that this CD, the first two original albums, and all the Japanese pressings are out of print and go for various prices on Ebay, all I have to go buy is the newest installment that retails at $15 via Carmine’s website. I’ll assume I saved $10. Enough used bin diving…..back to the new releases! 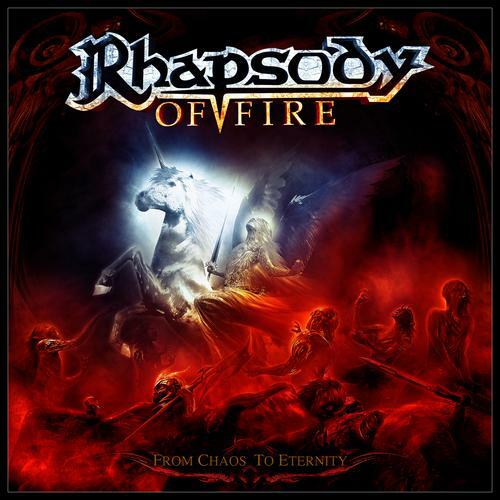 More trips to the local store near my house for the new albums on Tuesdays…..
Rhapsody Of Fire – From Chaos To Eternity (2011) – $10: Rhapsody Of Fire, formerly just Rhapsody, seems to release album after album, and E.P. after E.P., and I always pick them up! Didn’t I just buy a new CD from Rhapsody Of Fire recently? The problem with Rhapsody Of Fire is their distribution to North America is later than Europe and Japan so something released everywhere last year might only see a release in the States this year…..at least FROM CHAOS TO ETERNITY is brand new and released worldwide on Nuclear Blast. What’s crazy now is that I just read today that the band is splitting in two and keyboardist Alex Staropoli and lead guitarist Luca Turilli will be parting ways in a friendly manner. Staropoli retains the Rhapsody Of Fire name and all previous rights and Turilli retains the name “Rhapsody” and will have a new band under that name. Confused yet? At least I bought their last offering on sale, regular price was $16, so I saved $6. 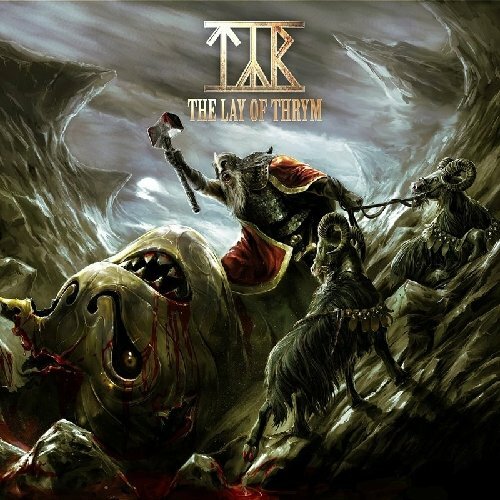 TYR – The Lay Of Thrym (2011) – $12: THE LAY OF THRYM came out months ago but I’ve kept this album on the want list because of the insane amount of copies at every record store I’ve been to. Is TYR that popular? I seem to acquire all the TYR albums and I like their Viking Metal sound but I just couldn’t bring myself to buy it, even when it was on sale, knowing that eventually the record stores is going to discount the price further to get rid of overstock…..I was wrong. I went into the store for the new Rhapsody Of Fire and Iced Earth releases and I noticed that all the copies of this album were off sale and at a $16 regular price. Further investigation found a copy of this disc in the Misc T. section still on sale for $12 so I grabbed it right away. When I got to the register the CD rang up at the $16 regular price, of course they price adjusted it so I ended up saving $4 with the sale price. 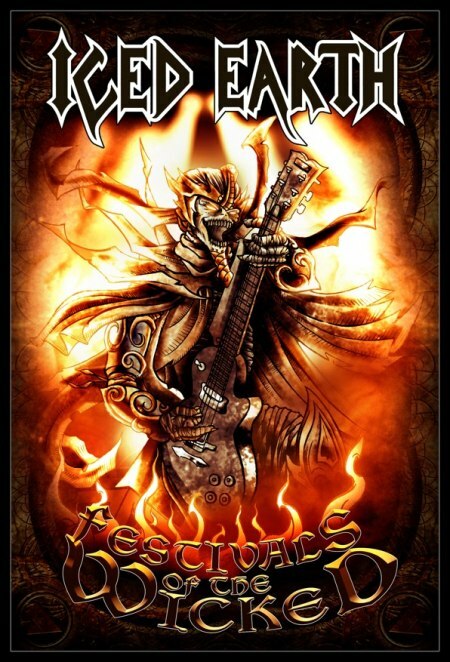 Iced Earth – Festivals Of The Wicked DVD (2011) – $16: I’ve been an Iced Earth fan since 1997 when I picked up THE DARK SAGA (1996) and the DAYS OF PURGATORY (1997) double disc compilation so I was looking forward to getting this DVD of the latest Iced Earth lineups at some of the biggest European Metal festivals from 2007 and 2008. two DVDs, three concerts, an hour long documentary and some bonus material totalling over foive hours of footage, that’s a bargain for $16 the day of release! Regular price was $24 so I saved $8. Here is where I complain a little…..there’s an audio CD of FESTIVALS OF THE WICKED that was released the same day and I planned on buying that too. The sale price was $13 for the CD so I figured I was going to get a 3 CD set of the concerts kind of like I did when I bought the ALIVE IN ATHENS live set back in 1999. So I grab the CD immeadiately but I never checked it until I got to the register…..the CD version is a compilation of songs from all three concerts and only 12 songs! Absolutely disappointed and I never bought it. I’m not sure who thought of this at Century Media but you’ve got to be kidding! With other bands releasing DVDs with bonus CDs of the music, and vice versa, all the time you would think that Century Media could have easily released a 3 disc audio set of the DVD. I would have put that on my Ipod and enjoyed that like crazy! Somebody dropped the ball at the label! 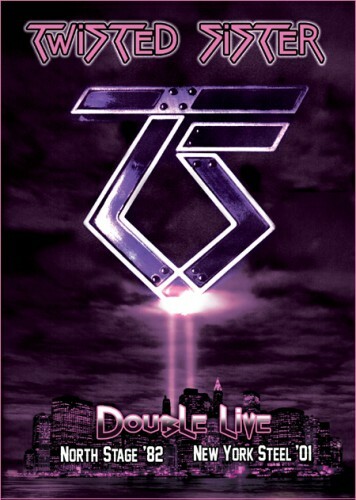 Twisted Sister – Double Live: North Stage ’82 & New York Steel ’01 DVD (2011) – $18: Here’s another Twisted Sister release that had my oldest daughter going crazy! Nothing beats a good DVD and you can’t miss with Twisted Sister finally releasing both of these concerts on DVD, especially New York Steel 2001 because it was a benefit for the New York Police & Fire Widows & Children Benefit 11 weeks after the 9/11 terrorist attacks. I read about New York Steel back in 2001 and it was not only a great cause for the band to unite for but it was also the rebirth of the band as a touring and recording entity. The North Stage show from 1982 is there last club performance before the band flew to engalnd to record their ’82 debut album UNDER THE BLADE. A little vintage footage, some recent footage (although 10 years old!) and you’ve got two solid concerts. Add in the bonus interviews with the band talking about each show and it’s a nice package. There was no audio companion release but I would have bought one had it been listed for release. Regular price was $25, I paid $18, so I saved $7. 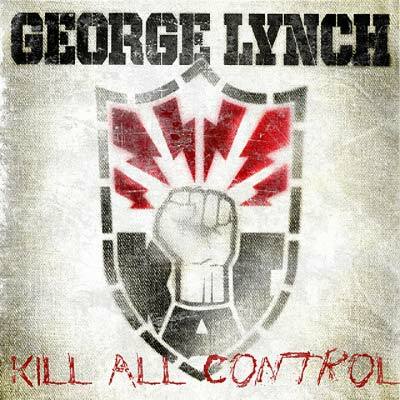 George Lynch – Kill All Control (2011) – $12: I grew up a Dokken fan so I ended up as a Lynch Mob fan back in the day too. George has such a cool guitar style and I’ve been listening to WICKED SENSATION (1990) a lot lately so I kept this release on my list. The only problem with buying this is that I didn’t get into some of his last few albums I bought like SYZYGY (1998), SMOKE THIS (1999) and the Lynch/Pilson album WICKED UNDERGROUND (2003) and I didn’t want to get burned. You’ve got some guest stars here as this isn’t Lynch Mob but George solo: London LeGrand (Brides Of Destruction) is singing and touring with George right now, Marq Torien from the Bullet Boys, Fred Coury from Cinderella is on there and a few more. I read a few good reviews online so I decided to take a chance. The record store had only one copy so I grabbed it figuring I wouldn’t see it again on sale…..regular price $15, saved $3. Journey marked their third comeback with a new singer in Arnel Pineda, and a great album with REVELATION, in 2008 and achieved both critical and commercial success that had been missing since TRIAL BY FIRE (1996). Credit the critical acclaim to the band getting down to business and writing well written, catchy, melodic songs and Arnel dazzling everyone with his superb Steve Perry styled vocals on record and on tour. The commercial success came through a great business deal with retail giant Wal-Mart to exclusively release REVELATION (including a DVD and re-recorded hits package) and get the band their first platinum record in over a decade. Band leaders Neal Schon and Jonathan Cain are superb musicians, as well as knowledgeable businessmen, so it’s no surprise that they hit big with the REVELATION album and tour. That was then and this is 2011 and Journey, and specifically Pineda, have to prove that this REVELATION wasn’t a fluke and that Journey has the talent and drive to continue well into the future. That proof comes with their new album, and another Wal-Mart exclusive, ECLIPSE. As I do with many reviews I write, I have to tell you that I’ve been a fan of Journey for a long time, at least since 1981’s ESCAPE, so I’ve grown up with the band and heard all the big hits and all the albums countless times. REVELATION was one of my favorite albums of 2008 so I was really psyched up for the new record’s release especially when I read all the press that this was going to be a heavier album, a true Rock record. Neal Schon has always been one of my favorite guitarists and I’ve always thought that he doesn’t get the credit he deserves because Journey is sometimes seen as a Pop band or a ballad band, take a listen to his solo material (ELECTRIC WORLD from 1997 is awesome! ), his work with HSAS, Bad English, Hardline or Soul Sirkus and you’ll hear some great riffs and solos along with more melodic, blues and jazz elements. A Journey album with more guitar? Sign me up! I drove to Wal-Mart the day of release to buy it and I don’t shop at Wal-Mart on principle! At first glance, ECLIPSE doesn’t give off the “Wow!” factor in terms of packaging especially when compared to the deluxe, three disc, brightly colored digibook that was REVELATION, ECLPISE is a darker album cover and the packaging is a simple slim digipak with a four page booklet. So they value factor isn’t there as far as bonuses (no extra discs) but the price was definitely low ($10) and the music is the whole point of an album. Starting off ECLIPSE is the melodic and upbeat ‘City Of Hope’ that sounds like a typical Journey rocker and could have easily come off ARRIVAL (2001) and the guitar driven ‘Edge Of The Moment’ that sounds like late ’70s/early ’80s Journey from EVOLUTION (1979) or DEPARTURE (1980). Right away you notice that both songs are guitar oriented with thick riffs and heavier solos compared to the usual Journey fare but the underlying detail is that Jonathan Cain’s keyboards are not as up front in the mix. One of the reasons that Journey sometimes gets a reputation for being too “lite” is because the keyboards so up front in the overall sound, immeadiately you hear the guitar driving the songs and the keys a compliment. The other thing I hear right away is that Arnel Pineda is adding his own flair to the vocals rather than straight up copy the classic Steve Perry sound. 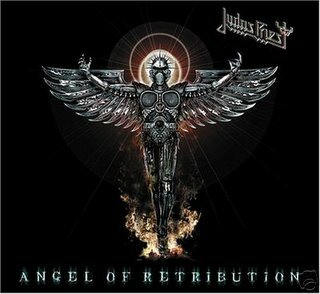 Back on REVELATION it was obvious that Pineda could do a solid Perry imitation, listen to that second disc of re-recordings and it’s pretty spot on, but on these first two songs you can hear an edge. Of course, I write those words and there’s a keyboard intro to ‘Chain Of Love’ and Pineda’s voice soars and sounds just like Perry’s on the album’s first ballad ‘Tantra’. ‘Chain Of Love’ is a heavy mid-tempo track that gives off a dark moody feeling that is the direct opposite of typical Journey, a song full of chunky riffs that sound so thick that it may throw some people off. ‘Tantra’ is your typical Journey ballad that starts out slow with Cain’s piano leading the way and Pineda crooning like Perry but then Schon kicks the guitar in and the entire band comes together to deliver one of the most powerful songs on the album. Say what you want about straight up Rock songs, sometimes a power ballad can be as heavy, as rocking, and as powerful, that’s ‘Chain Of Love’. The first four songs on this new album are great with plenty of sonic changes and a focus on Schon’s guitar…..if the rest of the record is as good then Journey has another winner on it’s hands. ‘Anything Is Possible’ is a mid-tempo AOR number that easily recalls Steve Perry/RAISED ON RADIO era Journey and it’s definitely one of my favorite tracks on the record, very catchy and clean as far as the sound goes. I like Cain’s underlying piano and the guitar solos are a pleasure to hear but it’s Arnel’s showcase and he sounds like a seasoned veteran of the AOR ranks. ‘Resonate’ is a darker song that takes time to build and it follows a similar pattern to ‘Anything Is Possible’ as it builds to the chorus. Again, another guitar driven track that really gives off this dark tone but the contrast to the beauty of the singing is what makes it, and the entire record, work well. I like the acoustic intro to ‘She’s A Mystery’ and it just builds into one of the best songs on the album! About halfway through, the band dismisses the acoustic balladry and goes for it with a powerful full band electric swagger…..that’s a pretty good way to describe ECLIPSE: “balladry with an electric swagger”. ‘Human Feel’ has this tribal drum intro from Deen Castronovo and a cool Hammond Organ from Jonathan Cain to compliment another heavy handed riff from Schon. It kind of reminds me of ‘Ball Of Confusion’ from The Temptations in some parts with a bit of that Motown swing underneath but once Arnel sings, it sounds like straight Rock. The guitar solo is powerful but so effortless…..the hallmark of a guitar great! The rocking tempo continues with ‘Ritual’ and it’s the kind of upbeat song that was a staple of previous records post-Perry, it could use some bigger background harmonies to give it that extra punch but it’s solid. ‘To Whom It May Concern’ is another proper ballad that adds a little more Jonathan Cain in the way of piano, keyboard and orchestration. While it’s not a bad song at all, I feel a bit of a disconnect. Maybe that’s because the power of ECLIPSE is in Neal’s guitar? Arnel is the star of the show here with another great vocal but I could go for a little more harmony to make the song sound bigger. More uptempo AOR with ‘Someone’ and it’s sounds like a traditional Journey rocker and could have easily been a hold over from REVELATION. It’s got that sing-a-long hook that makes it worth the wait but I wish they had placed it more up front in the tracklisting. It’s a “happy” kind of classic Journey track and contrasts well with the darker parts of the record. Ending the album is the instrumental ‘Venus’ that uses parts of ‘To Whom It May Concern’ and is a band showcase minus Mr. Pineda…..it’s cool but not my thing from Journey. Journey is Journey so you know what you’re going to get when you spin a Journey record: uptempo/upbeat AOR and Melodic Rock with a few ballads and top musicianship. For most fans, that’s enough but Journey music is such a part of American culture that fans always expect the best. For my money, the REVELATION album from a few years ago fit that bill easily and ECLIPSE falls a little short of my expectations when comparing the two. I’m not saying that ECLIPSE is a bad record, quite the contrary, I think it’s one of the best of the year but the darker tone/feel of the album has thrown me a little. That’s a good thing though because it shows a vibrant and creative band not willing to compromise and to continue to grow. The more I play ECLIPSE, the more I like it and the more I enjoy it. What I like most is that this is a guitar record. 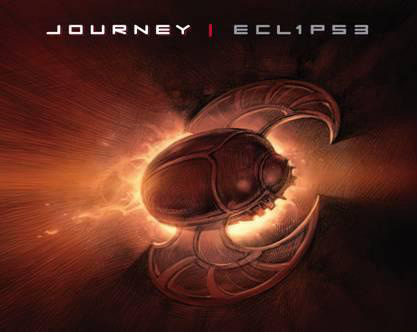 There are many times when the name Journey makes you think of keyboard heavy rockers and piano ballads but ECLIPSE is a Neal Schon showcase with some of the coolest riffs and solos I’ve heard on a melodic rock record. The rest of the band is as solid as ever and Arnel Pineda has turned in another outstanding vocal performance. The songs are well written and the sound is crystal clear thatnks to producer Kevin Shirley. Definitely a recommended album…..just give it a few spins so you can really get into it. 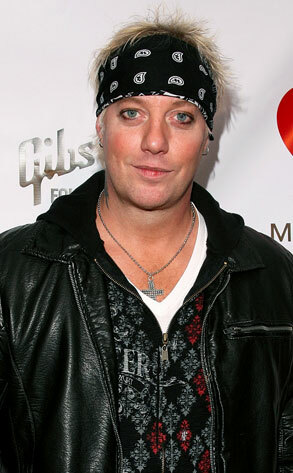 Jani Lane, the former singer of hard rock band Warrant, has died. He was just 47. According to TMZ, police found Lane’s body in a room in a Woodland Hills, California Comfort Inn hotel. Right now, no official cause of death has been released. Lane penned Warrant’s most famous songs including “Cherry Pie,” “Heaven” and “Uncle Tom’s Cabin.” Over the years, Lane and the remaining members of Warrant had a tumultuous relationship. Lane left and rejoined the band several times, most recently reuniting with the original members in 2008. This reunion lasted only a few months and Lane was permanently replaced in Warrant by vocalist Robert Mason. In between his time with Warrant, Lane worked on several solo projects and toured with other 80s metal acts. In the past, Lane suffered publicly with alcohol addiction and pleaded no contest to DUI in 2010. Lane appeared on VH1s ‘Celebrity Fit Club 2’ in 2005. Another sad and tragic loss in the Hard Rock community. Unfortunately Jani Lane had his problems with different addictions and it made the later part of his life and career hard at times, especially with his former band Warrant who have replaced him twice for their last two studio album. 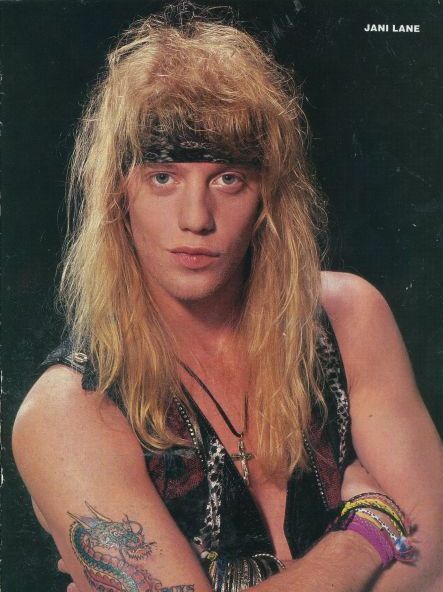 Back in the day I liked Warrant but, after reading all the controversy and problems in the Internet age, I had a major Warrant backlash especially with Jani Lane. Despite the guy’s issues, dying at age 47 is a sad tragedy that should have never happened. Hopefully, Jani is now at peace. Condolences go out to Jani’s family, friends and fans…..may his memory live on in the music he created.